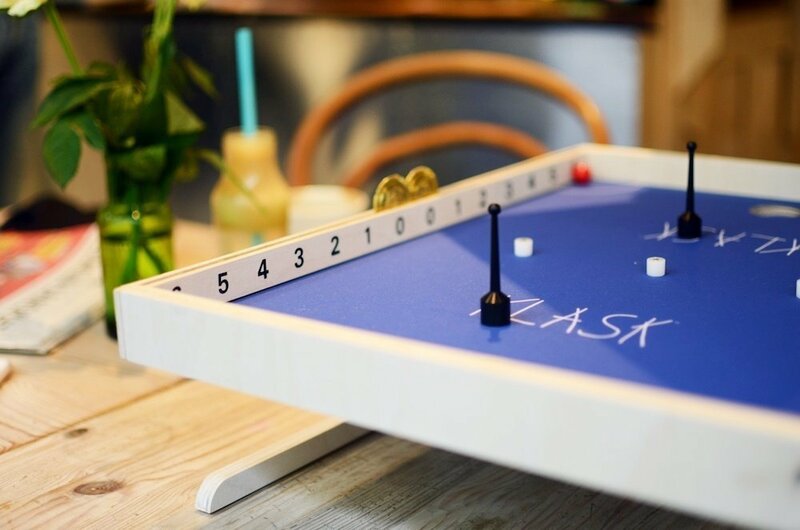 Klask has travelled straight from the cozy pubs of Denmark to bring competition and fun to your home. 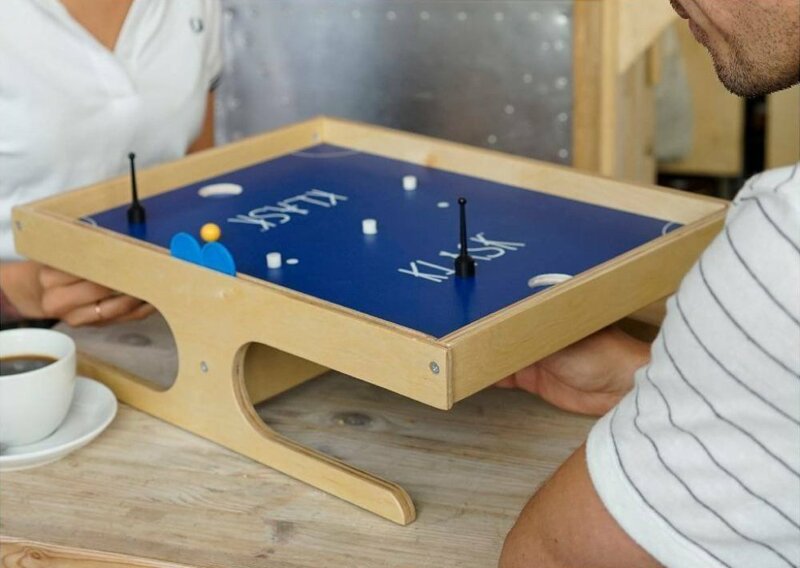 Combining the best parts of Foosball and Air Hockey, Klask players must use the magnetic handle under the board to control their playing piece on top of the board and hit the ball into their opponent’s goal. 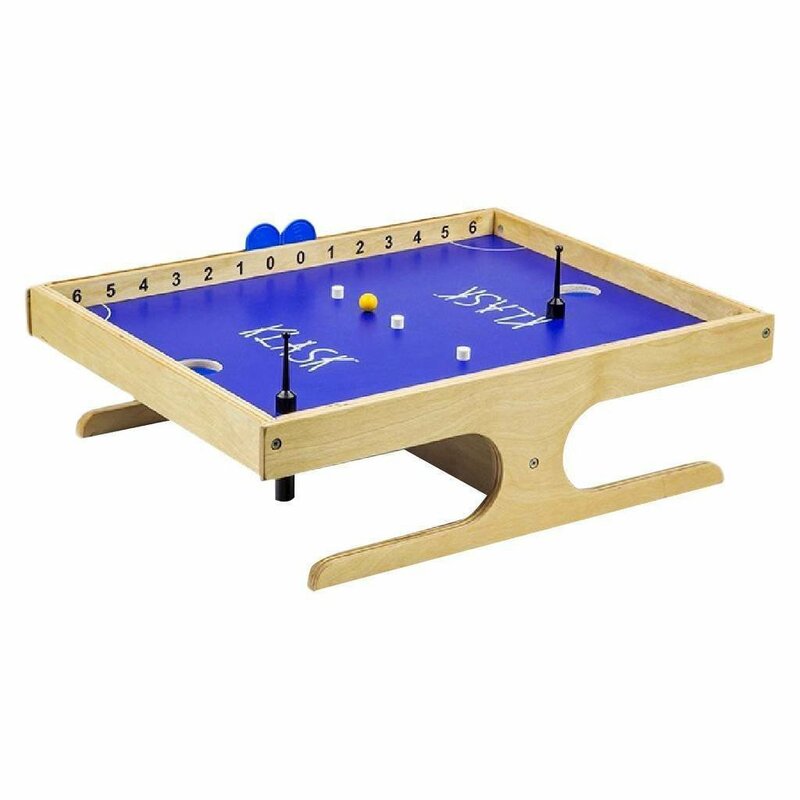 But be careful and mind the obstacles, three magnetic pieces add an extra level of fun, and don’t forget the hole.